The Xerox WorkCentre 5495 Copier is designed for ease of use and is capable of high demand printing. 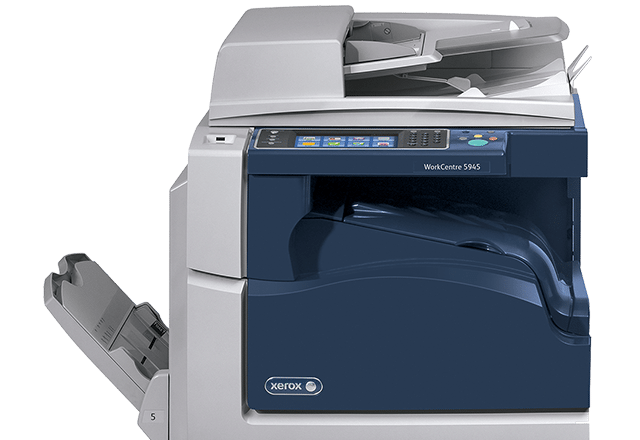 This copier has a printing speed of up to 45 pages per minute and a duty cycle of 175,000 pages per month, this copier is perfect for fast-paced businesses. A completely accessible paper path makes it much easier for you to do maintenance on your copier especially with paper jams, no more worrying about those hard to reach spaces. No need to call technical support to remove a simple paper jam. This results in more uptime and more printing! This copier is up to date with all the latest technology and download apps direct from the Xerox app gallery. The Xerox WorkCentre 5495 Copier as standard includes internet fax, fax build job, network Server fax. With the option of adding additional fax options such as fax forward to email or SMB and walk-up Fax. If you’re ready to learn more, give us a call today and we’ll help you with any questions you may have.